Water is a precious resource which is already under pressure in England. As Deputy Director for Water Resources at the Environment Agency my job is to ensure that ‘abstraction’ - the amount of water that people take from the environment - is sustainable. Many abstraction licences were granted more than 20 years ago when the pressures of climate change and population growth were not as great as they are today. So, over the last 20 years we have reviewed abstraction licences to make sure they aren't causing environmental damage. Our programme will protect water levels in rivers, lakes and marshes, improve wildlife habitats and the protection of endangered species. 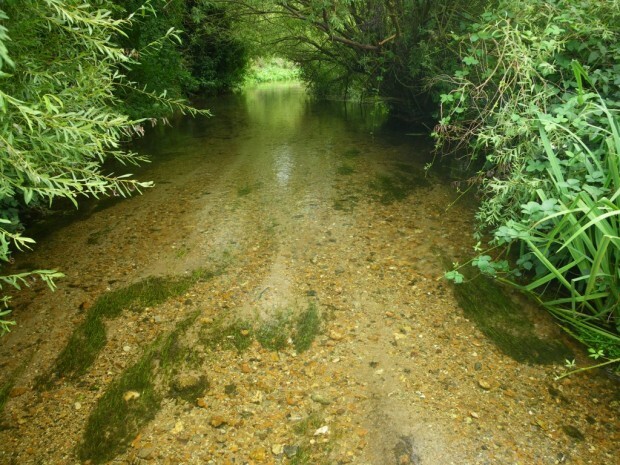 In the last 6 years we have restored 27,000 megalitres of water back to rivers across England. Important choices have to be made about how we manage water abstraction through licensing: this is both in allowing new licences with certain restrictions to make sure that the environment isn’t damaged, and in finding solutions to some of the legacy decisions – deciding how and where we need to recover water and if there are other ways we can take action. A big part of my work at the moment is supporting Government’s plan to change how we permit water being taken from the environment so we can respond better to future challenges including from climate change and population growth. I recently visited one of our most iconic chalk rivers, the River Itchen, with WWF. We met to discuss how we can best protect these rare and important rivers and, – in discussions with one of the mill owners, – about how we work with people on the ground. On the day of my visit the river looked beautiful – and certainly not what you would associate with a river under threat. When the weather is dry though, we know that the amount of water taken from the river means it is under tremendous pressure. We are working with communities and abstractors to put in place a solution to this. Progress with the review of abstraction licences has been challenging at times, particularly because the way we change existing licences was, until recently, constrained by the need to raise funds to pay compensation to licence holders where we changed their licences, and through a potentially lengthy legal process. But the good news is that recent legal changes have paved the way for increasing the speed by which we solve these environmental problems and that we no longer have to pay compensation where the most serious damage is caused or to water companies for changing their licences. However, we still face a big challenge to deliver changes to non-water company licences. Locally we have been working with a wide range of partners, including rivers trusts and wildlife groups, to identify actions and to explore options which would work across whole river catchments. This is especially important where we can’t make changes to abstraction licences to the extent we feel we need to. For example, on the River Beane, a chalk river in Hertfordshire, we’ve been working with the Beane and Mimram partnership and the local water company to identify a range of actions which include licence changes, channel restoration and removal of weirs and other obstructions to enable the River Beane to recover. There are some difficult decisions to be made – particularly in these difficult economic times. I’m optimistic though that we can continue to make progress and deliver on our aims to make abstraction sustainable. This will only be achievable though through working with others to shape solutions that are fit for place and for people. Recently we launched our consultation on updated river basin management plans. These bring together many organisations to address complex land and water use issues – including abstraction. Our final plans will set out what we and our partners plan to do over the next 5 years and we’d like your views on this. The consultation documents are now on GOV.UK. T'is the season, to be #FloodAware!